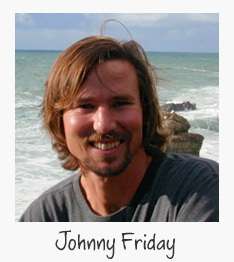 Diving, exploring and filming throughout the Baja peninsula eventually led Johnny Friday to San Ignacio Lagoon in 1989. 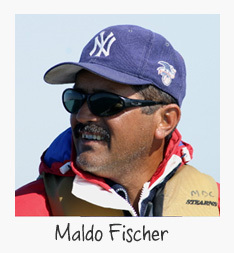 There he met local fisherman and whale watching guide, Maldo Fischer. Because both men shared a deep affection and respect for the marine world and its numerous inhabitants they founded Baja Ecotours, an eco-conscious travel outfitter providing off-the-beaten path expeditions into the Baja wilderness and specifically to their Gray Whale watching base camp and research center "Campo Cortez" at San Ignacio Lagoon. Today, Maldo and his entire family run the day-to-day operations at "Campo Cortez" and have become a premier example of how eco-tourism can and does work as an alternative to commercial fishing. Our friendly and experienced staff is committed to providing you with an exceptional wildlife experience and greater understanding of the local environment. Our camp staff and boat captains are not only professionals in their field, most are local residents of Baja and San Ignacio Lagoon that have earned a lifetime of knowledge living and working in Baja and amongst the marine wildlife they have the privilege to introduce you to. They educate while ensuring safe viewing of the marine mammals and wildlife you’ll encounter. Our guides also posses vast knowledge of the local flora and fauna of this region and are always ready to share that knowledge with you. Hire and train locals, harness alternative energy from the climate, utilize local building materials, keep our impact to a minimum, demonstrate eco-tourism as an alternative lifestyle to commercial fishing -- These are our key philosophies that have driven us from our beginning. We realize that our most precious resources are the local people that live in the remote areas in which we operate. Without them there can be no protection of the very animals we have come to visit. It is up to us as ambassadors of eco-tourism to educate and give the necessary tools to these men and women that live in the remote areas we love so much … And our staff show us what it takes to live off the beaten path in complete remoteness amongst mother-nature and exposed to the elements. Combining these two elements we believe is key to the long-term sustainability of eco-tourism at San Ignacio Lagoon and ultimately leads to the successful protection of the Gray Whales that visit these lagoons. All of our trips offer a fun learning atmosphere. You’ll not only experience unique up-close marine wildlife encounters, but you'll also learn about these many amazing animals and their ecosystem. We offer a variety of learning encounters, everything from tide pool exploration, whale census recording, plankton netting to recording weather data daily. You’ll depart Baja with a greater understanding and appreciation of its incredible marine diversity and the people that live here. 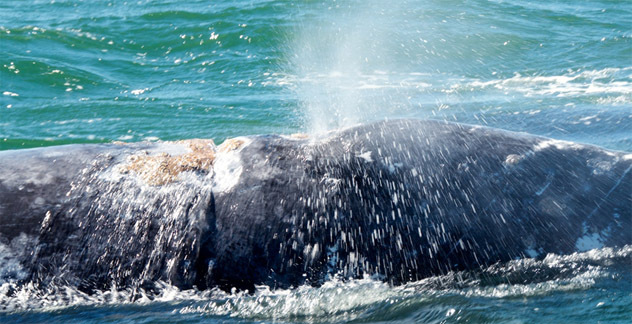 Of course the emphasis of our trips is to be in the company of the whales and to offer you the experience of a lifetime. 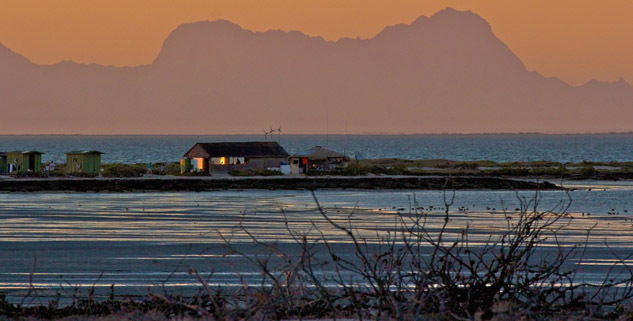 Our year round Ecolodge is located at the heart of the Vizcaino Reserve on the shores of San Ignacio Lagoon. Given protection as a wildlife refuge in 1988 it’s the largest and one of the most diverse protected areas in all of Latin America. Most notable of the protected animals are the Pacific Gray Whales, which migrate annually to mate and give birth in these shallow water lagoons. Our Ecolodge and solar powered cabins offer our guests spectacular access and views of the lagoon at a very remote and private location away from the daily traffic and day tour activity closer to the main entrance to the lagoon. Guests also have access to a large mangrove estuary that is a short paddle by kayak where nesting and migrating birds by the thousands take refuge. 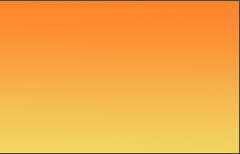 Locally owned and operated are key to what makes us successful. Our staff are mostly locals that have grown up and spent their entire lives here as commercial fishermen and have now found a renewed way of life in eco-tourism. We think you will find that our staff is the key to our success. Not only is this a job, but a life-style that sustains most of our staff for the entire year from the three-month season. Aside from being locally owned and operated, our location, cabins and solar facility are also key features that set us apart from other camps. Our well-placed location means privacy in a remote setting and our very own mangrove estuary for kayaking and tide pool excursions and all with a view of San Ignacio Lagoon and the whales from your cabin. Cabins are basic yet cozy, with beds and electric outlets as well as protection form the wind and harsh elements that the lagoon sometimes throws at us. Our modern wind turbine and solar system means electricity that allows us to use refrigeration and provide electric to each cabin for your basic charging needs. As a guest with us you’ll enjoy the benefits of personalized attention from our friendly and knowledgeable staff in an unhurried and un-crowded atmosphere in our boats, on the water or on land. 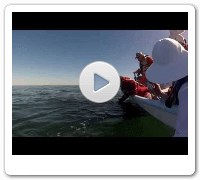 By participating in our eco-adventures and whale watching trips you are helping to support and develop the eco-tourism based economies at San Ignacio Lagoon and other areas in which we operate. 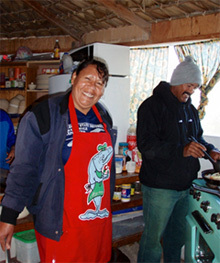 There is a domino effect brining jobs to locals at our camp as well as supporting businesses such as fishing and local ranching that supply much of our food. We are also extremely determined to help support our community at San Ignacio Lagoon with donations to the local school in not only financial assistance, but much needed school supplies. Additionally we support the outlying schools in close-by towns by bringing children to our camp to see the whales for the first time in their lives. We often have as many as 300 children at the lagoon at the end of each season and take them whale watching and introduce them to their precious natural resources at the lagoon, thus inspiring the next generation. We truly thank you for considering travel with us in the Baja and we hope to welcome you as our guest on one of our eco-adventures.